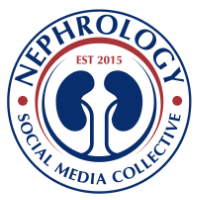 Bile cast nephropathy or also called cholemic nephrosis represents a spectrum of renal injury from proximal tubulopathy to intrarenal bile cast formation found in patients with severe liver dysfunction. Bile can be toxic directly to the tubule or can form casts and have similar damage as myeloma cast nephropathy. Recently this entity has gained some interest in the literature. The mechanisms responsible for tubular dysfunction include uncoupling of mitochondrial phosphorylation (thereby decreasing ATPase activity) by bilirubin and oxidative damage of tubular cell membranes as well as inhibition of Na-H and Na-K pumps in the tubular cell membranes by bile acids. Cholemic nephrosis is reversible provided bilirubin levels are reduced early. This recovery is however delayed if there is extensive bile cast formation. 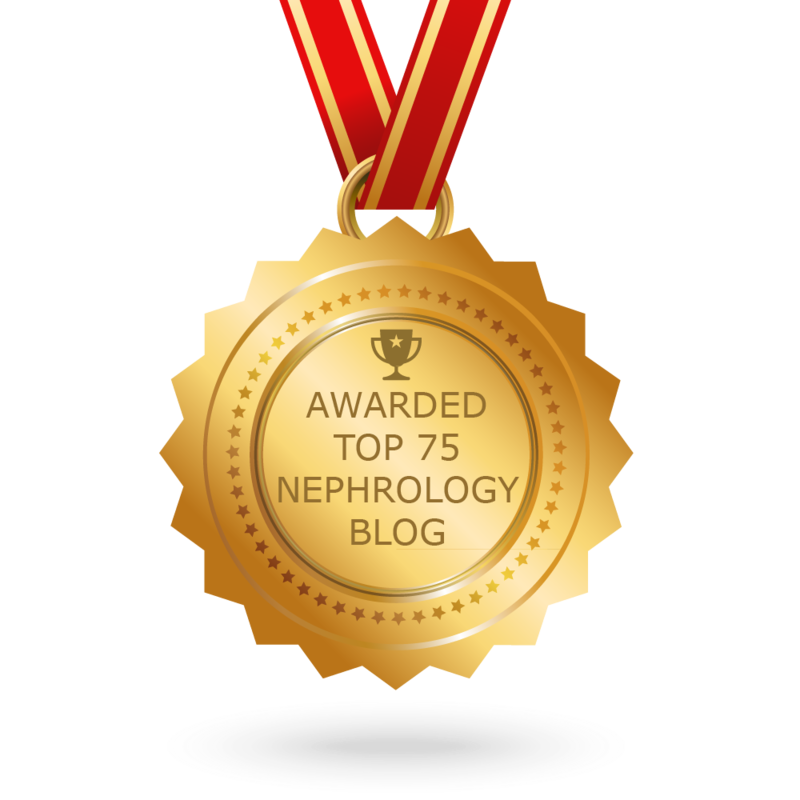 Some have suggested jaundice-related nephropathy as a replacement for cholemic nephrosis. 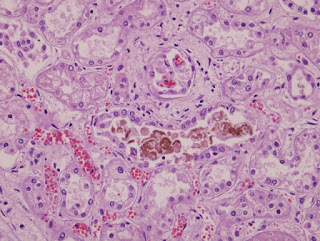 Based on their definition, jaundice-related nephropathy would encompass the spectrum of injury that ranges from proximal tubulopathy to extensive tubular injury and tubular pigment. 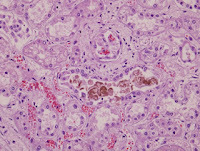 As bile passes via tubules, there is pigment nephropathy. Pathology findings include: extensive acute tubular injury with bile stained tubular casts. Macroscopic findings will include bile stained yellowish discoloration of the kidneys in jaundiced patients which become dark green after formalin fixation. The Hall's stain confirms bilirubin presence.